The Kunming Institute of Botany (KIB), part of the Chinese Academy of Sciences (CAS), and Springer are launching a new journal Natural Products and Bioprospecting (NPAB). As a fully sponsored open access journal, it will be included in the SpringerOpen portfolio, available on www.springerlink.com. The journal is part of Springer’s Chinese Library of Science (CLoS), a collection comprising more than 90 English-language research journals from China. 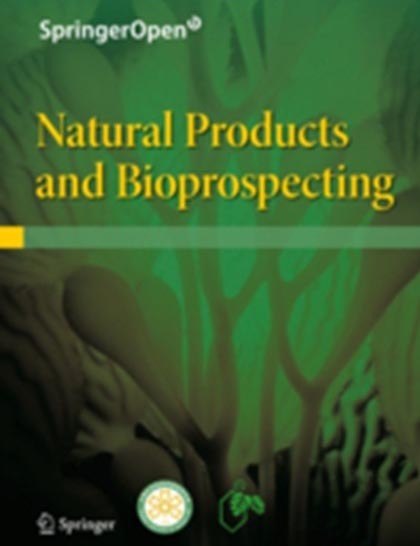 Natural Products and Bioprospecting aims to serve as the international forum for essential research on all branches of natural products, including plant biochemistry, bioorganic and medicinal chemistry, biosynthesis and microbiological transformation, fermentation and plant tissue cultures and bioprospecting of natural products. The international editorial board, made up of renowned experts and scholars, guarantees the high academic standards of the articles and supports an expeditious manuscript-review process. The SpringerOpen model allows the journal’s contents to be fully and immediately open access, available to anyone with an Internet connection. SpringerOpen journals are published under the Creative Commons Attribution license, which facilitates the open distribution of copyrighted work. According to this license, Springer will not reserve any exclusive commercial rights. KIB, part of CAS, is one of the leading institutes for the research of natural products, plant diversity and resources. Within the KIB, the State Key Laboratory of Phytochemistry and Plant Resources in West China is one of the biggest and most important research bases for natural products. Every year more than 400 novel natural products with new structures or new biological activities are discovered. Springer is a leading global scientific publisher of books and journals, delivering quality content through innovative information products and services. It publishes close to 500 academic and professional society journals. Springer is part of the publishing group Springer Science + Business Media. In the science, technology and medicine (STM) sector, the group publishes around 2,000 journals and more than 6,500 new books a year, as well as the largest STM eBook Collection worldwide. Springer has operations in about 20 countries in Europe, the USA, and Asia, and more than 5,000 employees.